This stylish Italian mirror is an ideal addition to any bathroom. 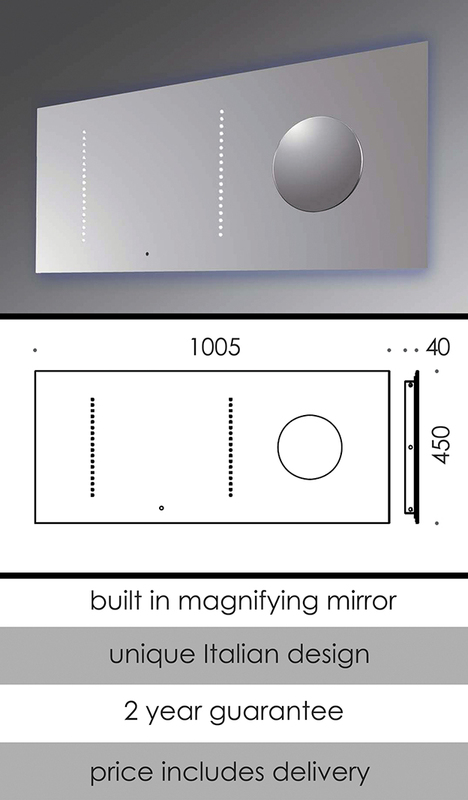 With a cosmetic mirror inset into the larger mirror, the make up mirror is 3 times magnified. Illuminated by LED lights the bathroom mirror is also heated, allowing stream condensation free viewing. * Luxury bathroom mirror with lights. * Mirror with 3 x magnifying mirror. * Steam & condensation free.